EClark had the most liked content! 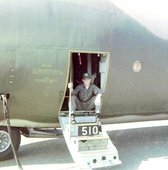 My last rote to Mildenhall was Apr.1968- July 1968 was in the 61st out of Sewart AFB Tenn.
Merry and Blessed Christmas and a Happy New Year!!!! Merry Christmas too you and your family!! Casey I don't want to be to much trouble but my profile is gone !! Casey do you the we can get our photos back!! Happy Jerry have a great day!! 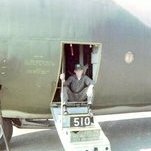 Robins AFB is looking for mechanics for C-130 and F-15. Two years of experience!!! f I was 20 years younger I would look in to it myself!!! Merry Christmas and A Blessed New Year One and All!! Happy Birthday Sam and many more!! Wish all a Happy Easter!!! Ken Happy Birthday many more!! !